The sturdy Nike Men's Fundamental training gloves are extra designed for men, who are interested in an intensive strength and fitness training. 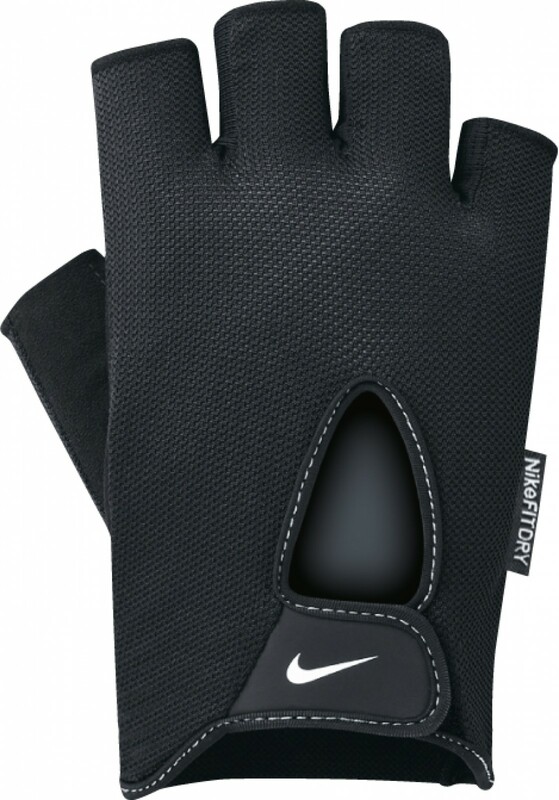 The high-quality Nike Men's Fundamental training gloves are made of soft synthetic leather, which is very elastic and offers a great comfort. In addition, the padded palms protect your hands from painful blisters and reddening doing intensive workouts. The adjustable hook-and-loop fastener on the wrist provides more stability and a safe fit. In addition, the comfortable sport gloves of Nike are very breathable due to an opening on theback of the hand.